OXFORD, Miss. 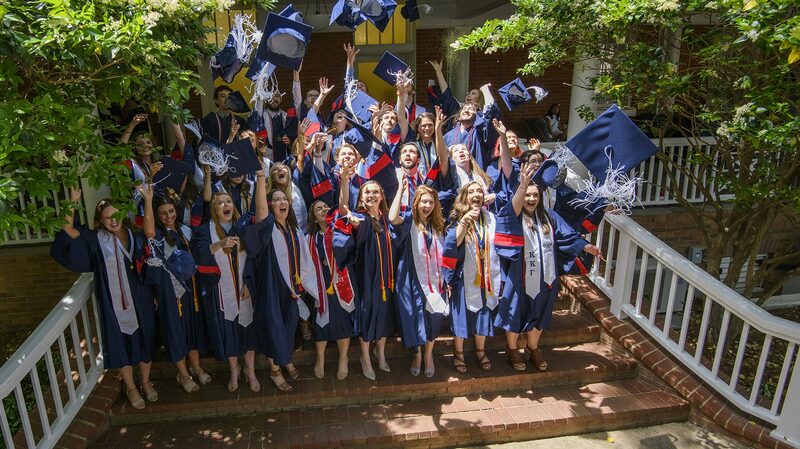 – Since its first class graduated in 2001, the Croft Institute for International Studies at the University of Mississippi has sent hundreds of students into the world. A Croft Institute degree serves as a passport, a stamp of approval recognizable in the global marketplace of a student who is prepared for a career on the worldwide stage. The first cohort entered Croft in 1998, and as of May, 520 UM students have graduated from the institute, going on to work in global fields with international expertise, working alongside people from various backgrounds. Just as remarkable is what the institute has done at home – both on the Ole Miss campus and in the state of Mississippi. It has been at the forefront of internationalizing the university and the state. The institute, which celebrates its 20th anniversary this fall, is both raising the profile of the state through outreach programs and helping UM attract new initiatives. Besides offering outreach programs for Mississippi’s kindergarten through 12th-grade teachers (such as its National Consortium for Teaching about Asia-funded workshops), Croft has stimulated the internationalization of the state and university through study abroad for Ole Miss students, partnerships with the Department of Modern Languages and more. Each of these initiatives tells a story of how Croft has moved beyond the walls of its beautifully restored Y Building home on campus and helped usher the university and Mississippi onto the global scene. When UM and the Joseph C. Bancroft Charitable and Educational Fund announced in September 1997 the $60 million donation from the fund that would create the institute, decisions were already being made on the focus of the international studies major offered at Croft. The interdisciplinary major offered under the College of Liberal Arts would focus on politics, economics and culture in one of three regional concentrations – East Asia, Europe and Latin America – along with language courses every semester related to the regional concentration. Students also were expected to study abroad – either for a semester or a whole year – in a country whose language they had been studying. “The three regions were selected because of their dominance in Mississippi’s international trade,” said Michael Metcalf, who served as Croft’s executive director from 1998 to 2007. 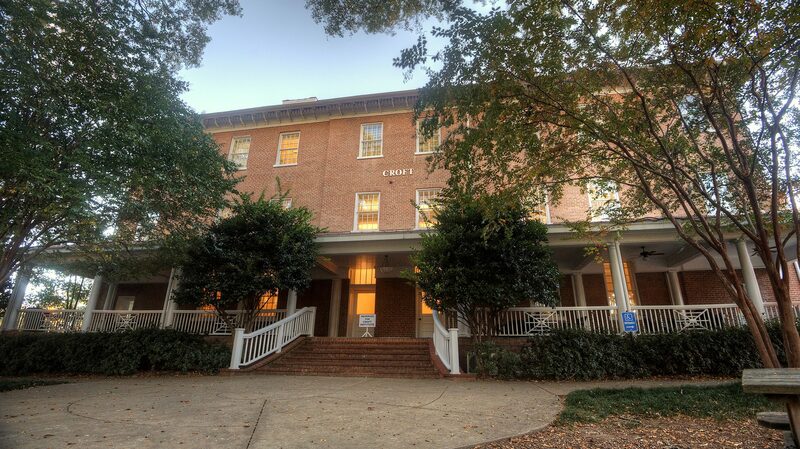 “The university had relative strength in European and Latin American studies, so the first new Croft faculty hires were made in 1998 and 1999 to initiate instruction in Chinese language and to start to build strength in East Asian history, society and religion. Choosing Latin America as one of the three initial regional concentrations was an opportunity to redefine what the South is and reshape it as a “global South,” said Douglass Sullivan-González, dean of the UM Sally McDonnell Barksdale Honors College. In 1998, Sullivan-González was an assistant professor of history selected to teach in Croft and serve on the institute’s organizing team. Sullivan-González first became interested in Latin American studies as a freshman at Samford University during a trip to rural northern Mexico working on a water project. He was part of a group of history professors who pushed for the inclusion of Latin America as a regional concentration. During that first academic year of Croft, in 1998-99, Sullivan-González also taught a course that included a trip to Queretaro, Mexico – one of the early study abroad opportunities through Croft. Other early study abroad opportunities included students visiting Europe and East Asia. 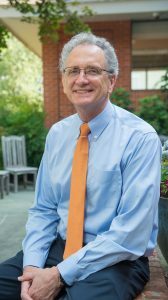 The benefits of studying abroad are numerous, said Kees Gispen, who served as executive director of Croft from 2007 to 2016. Gispen has taught in Croft since its inception. “When students study (abroad), they become aware,” he said. “And when they live in it, when they study abroad, they see how it functions. They come back and more often than not, it helps them come up with new ideas of how to improve our own situation. While Croft students were heading abroad, the institute was quickly making a difference within Mississippi; for example, through early outreach programs such as the National Consortium for Teaching about Asia, which looks to increase teaching and learning about East Asia in elementary and secondary schools. 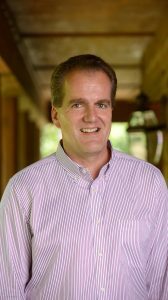 Peter Frost, who served as Croft’s interim director in 1997 and ’98, had been involved with the consortium’s director before coming to UM. Once at Ole Miss, Frost had offered NCTA workshops to Mississippi teachers even before Croft was started. Understanding Asia is a crucial part of understanding the world, both for cultural understanding and politics, Frost said. Besides summer workshops and online continuing education units and professional development opportunities in East Asia, through courses such as “Sake, Sushi and Soft Power” and “Korea in the Modern World,” the Croft Institute during its first two decades also has offered outreach programs to Mississippi teachers in Latin American and European studies. With students going into the world, and Mississippi teachers coming to UM to learn more about the world, strengthening the opportunity for the study of foreign languages became an early mission of Croft, too, Dinius said. Started in 2002, The Language Flagship programs are a federal initiative to graduate students who have a superior fluency level in foreign languages deemed critical to U.S. interests. Work on attracting a Flagship program to Ole Miss began in 2000, Metcalf said, with the Croft Institute and Department of Modern Languages working in tandem to land a program in Chinese. UM received its Chinese Language Flagship Program in 2003. The program is a tremendous resource for students who wish to become highly proficient in Chinese and pursue careers in such fields as business, government and journalism in which they will use Chinese to give themselves and their employers a professional advantage, Metcalf said. Croft and the modern languages department also worked together to attract a second Language Flagship program, in Arabic, which was awarded in August. The department’s work on building a prestigious program in Arabic also enabled the Croft Institute to add the Middle East as a fourth geographical concentration, adding two Middle East faculty positions, when Gispen served as executive director. Even as Croft has internationalized the Ole Miss campus and Mississippi, the institute’s purpose has remained the same: to give students the best possible preparation to launch successful global careers.